Run The Race is an American sports drama film is the story of brotherhood and strengthening of the bond when tested by challenges put ahead in their life. Zach and David were still not out of their mother’s death when their father abandoned them. 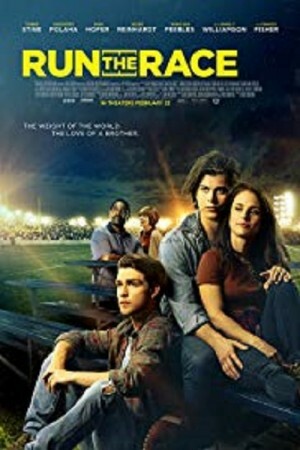 Being an All-State athlete, Zach finds an opportunity in the football field for a chance to move out of the town and live a better life. But a misfortune occurs and Zach is sidelined due to a devastating injury, leaving David as the only hope. While the latter laces up his track cleats, whether he will be able to salvage their future or not forms the rest of the story.